This Monkton Combe bedsitter includes all elements for study. This bed incorporates a bed, double wardrobe and a desk. The Monkton Combe Bedsitter provides all elements necessary for a student in a boarding environment. This unit incorporates a bed, desk and wardrobe for rooms where space is minimal. The double wardrobe houses hanging space and pigeon hole shelving, the doors are hung with full length hinges. The three drawer chest offers deep storage on wooden runners (alternate runners are available on request) and is designed to fit under the laminated desktop. Students are also able to store books and other necessities on the shelves provided above the desktop. The external panels and drawer fronts of the Monkton Combe Bedsitter are manufactured using solid ash hardwood and ash veneer. 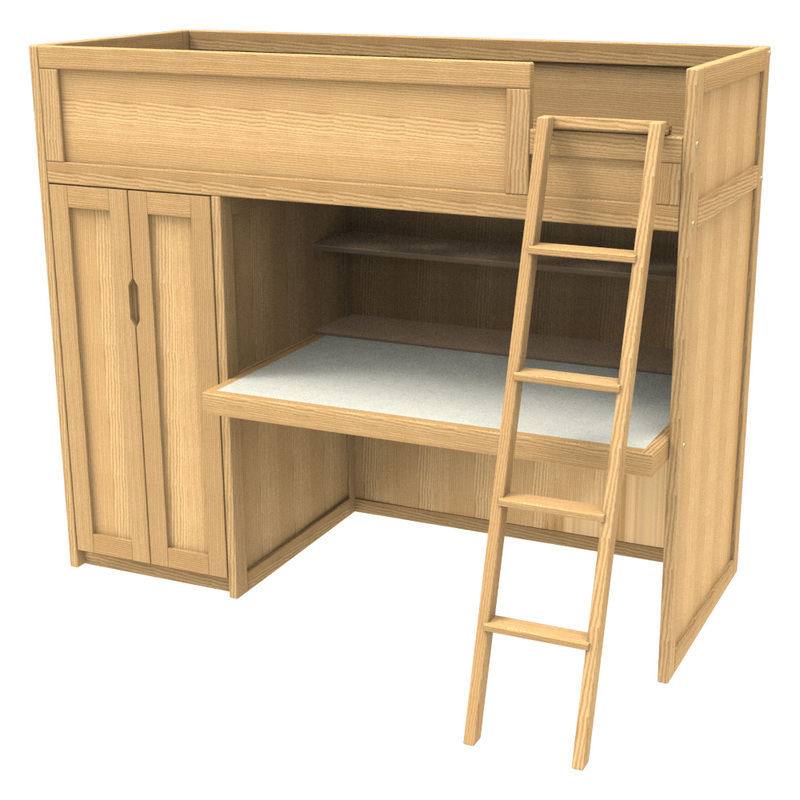 The standard finish for this bed is clear lacquer, however alternate finishes and paints are available upon quotation. The wardrobe is available on either the left or right hand side, please ensure you specify the handing upon ordering.